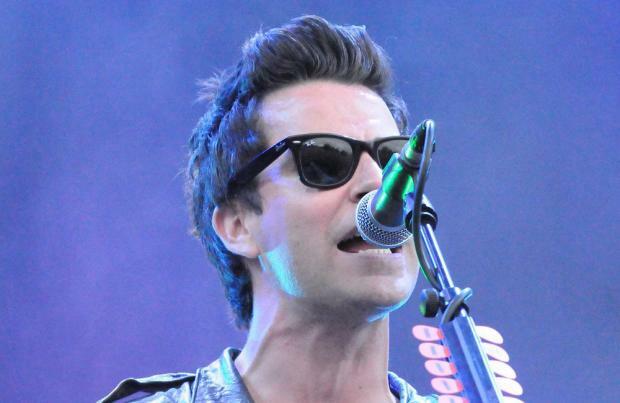 Stereophonics will celebrate their 20th anniversary with a new album. Frontman Kelly Jones has revealed the band have nearly finished the record - which follows 2015's 'Keep the Village Alive' - and he is confident it will be out next summer to mark the momentous year. The 42-year-old singer said: "We've pretty much finished the 10th album. "We'll start mixing it on September 6, when the tour's finished. I'd like to bring it out next summer or springtime if possible." Unlike many bands who tend to regurgitate the hits for anniversary victory laps, Kelly wants to avoid nostalgia and instead look to the future. Speaking to Virgin Radio about their plans to mark the 20 years since their debut LP 'Word Gets Around' was released, he insisted: "I wouldn't want to do that with a bunch of memorabilia and B-sides. I want to keep the band moving forward." 'Word Gets Around' announced Stereophonics to the world but it was their second album, 1999's 'Performance and Cocktails', that catapulted them to super-stardom with the hit singles 'The Bartender and the Thief', 'Pick a Part That's New' and 'Just Looking' all coming from it. However, the band's history also contains tragedy as their former drummer Stuart Cable - who was fired from the group in 2003 due to his addiction problems - passed away after choking on his own vomit following a drinking binge on June 7, 2010 at the age of just 40. Kelly, 42, played in bands with Stuart and fellow founding member Richard Jones from 1992 and admits he still misses his childhood friend, even though he died six years ago. Kelly said: "I think about him and miss him, every day. Had Stuart lived, I think he'd have ended up back in the band."